Dillian Whyte vs Joseph Parker: a P-P-V-worthy fight? 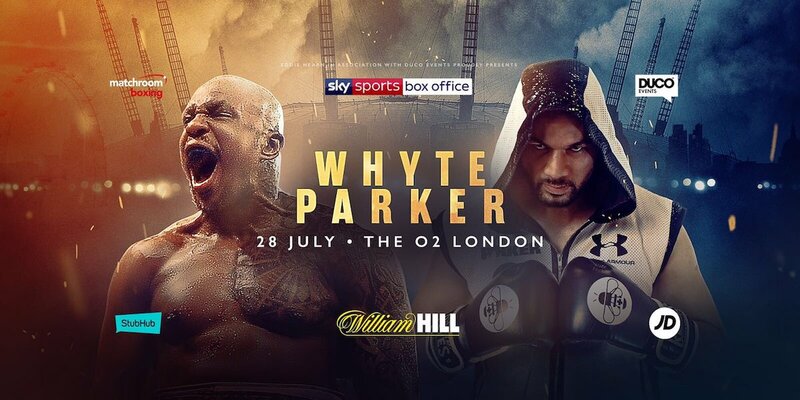 Make no mistake, the upcoming July 28 heavyweight elimination bout between Britain’s Dillian Whyte and Australian contender Joseph Parker is a rock-solid match-up, a fight that both men deserve credit indeed for signing up for. Both men, beaten only by Anthony Joshua, are hungry for a title shot – a second one in the case of former WBO champion Parker – as well as a chance at revenge against AJ. The stakes will be pretty high in London on fight night, no doubt. But – is this fight really a Pay-Per-View, or Box-Office-worthy fight? We UK fight fans have already this year had to shell out for Joshua-Parker and the Tony Bellew-David Haye return, both on Sky Sports Box-Office. Now, just over two months on from Bellew’s repeat triumph over a shot Haye, we are having to get ready to part with another significant chunk of change. Add to this the World Boxing Super Series fights we have had to pay for, and it has been some expensive six or seven months for UK fight fans. How many more Box-Office fights will Sky present to us in 2018? Joshua’s next one will certainly be P-P-V and that’s understandable, as enormous a star the reigning three-belt heavyweight champion is. But with this money assured and with the many £millions already in the banks of the powers that be behind the Sky shows we have already paid for, couldn’t we fans get very good but not great or enormous fights such as Whyte-Parker for “free?” Shouldn’t the powers that be lay off a little, not be quite so, well, greedy? We are told how certain big fights simply HAVE to be Pay-Per-View in order to get made, that the only way the respective gigantic paydays of the two superstars can be generated is by P-P-V cash, and this is understandable. But Whyte-Parker is not such a fight or match-up. Without a stellar under-card (and to be fair Eddie Hearn normally delivers such on his shows) the July 28 fight may not do anything like big numbers. Will YOU be buying this fight? You are here: Home / Boxing News / Dillian Whyte vs Joseph Parker: a P-P-V-worthy fight?